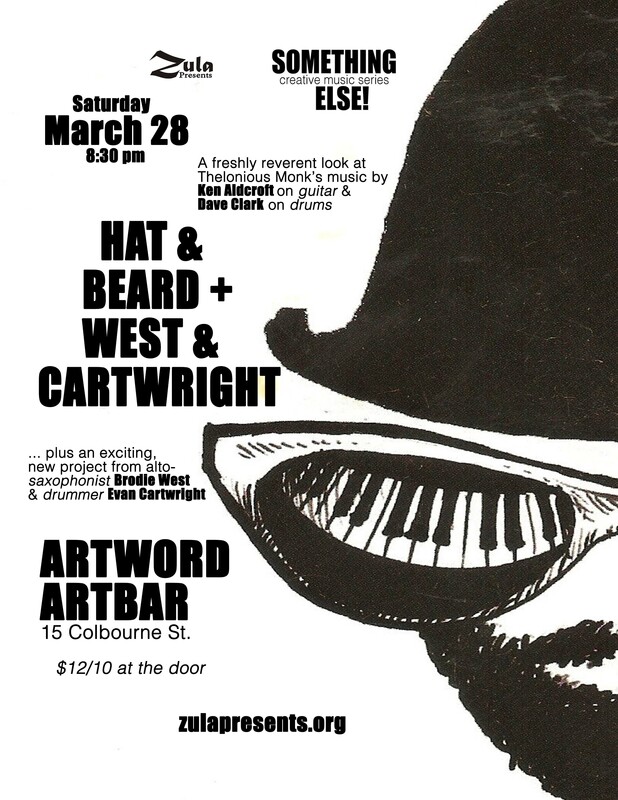 An unusual, charming homage to Thelonious Monk (via Eric Dolphy) by Ken Aldcroft (guitar) and Dave Clark (drums), plus another dynamic, improvising duo comprised of Hamilton’s Brodie West (alto saxophone) and Evan Cartwright (drums) from Toronto. “Hat and Beard” is Eric Dolphy’s tribute-through-looking-glass piece for Thelonious Monk on the classic Blue Note recording, Out to Lunch! Like its namesake composition, this pair pays Monk’s perennially vanguard music fair respect by re-envisioning it in an unconventional way. Ken Aldcroft and Dave Clark have absorbed huge chunks of Monk’s songbook, and traipse both down well-trodden paths with familiar material like “Epistrophy” and through the thornier thicket of little-tackled gems like “Brilliant Corners”. Overtly, Ken tends to play the straight man in the face of Dave’s combination of chops and comedic flair that is reminiscent of none other than Han Bennink. At times though – like Bennink’s Monk-theorist foil, Misha Mengelberg – Ken can subvert the tune from within it, and playfully prod Dave to keep up with him. In this way, Hat and Beard is a fun and joyful romp through one of the great compositional legacies of the past century. As a guitarist , Ken Aldcroft extends the jazz tradition that lies at the core of his music education. Through his commitment to a wide-open field of musical influence and to forging new collaborative ties, Ken has systematically sought new and challenging contexts in which to improvise. As a result, his playing reflects the breadth of his interests, from the extended bebop of a jazz repertory project like Hat & Beard, performing the music of Thelonious Monk, to the language of free improvisation that he explores in collective improvisational settings such as ongoing collaborations with NY bassist William Parker and saxophonist Andy Haas or one off performances with artists such as Wilbert DeJoode, Joe McPhee, John Oswald and Lori Freedman to name just a few. 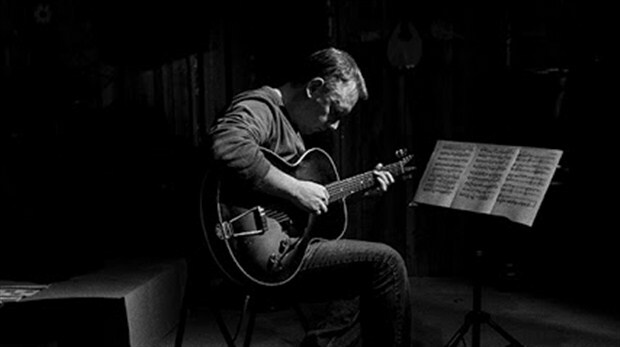 This variety comes into its fullest view with Ken?s two solo recordings; “Home: Solo Guitar Compositions” (2011) and “Vocabulary: Solo Guitar Improvisations” (2009), both are passionate musical reflections on his ongoing development as an improvising guitarist. 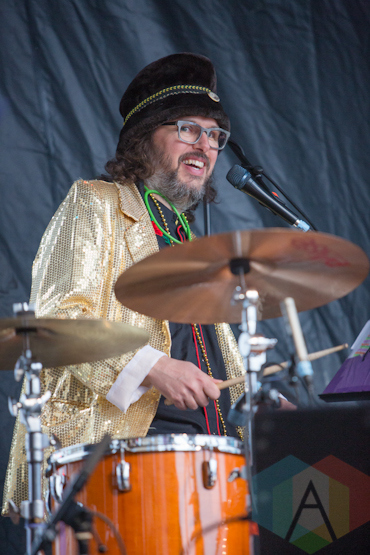 Dave Clark is a drummer/multi-instrumentalist/vocalist, Gemini Award winning composer, music student, music educator, author, poet, record producer, audio mastering engineer and the leader of the WoodChopper’s Association improviser’s orchestra. Dave has been lucky enough to have performed with such diverse artists as the Dinner is Ruined, the Nihilist Spasm Band, Jah Youssouf, Vieux Farka Toure and Mansa Sissoko of Mali, West Africa, mezzo soprano Jean Stillwell, Plunderphonics mastermind John Oswald, legendary drummer Neil Peart of Rush, the Sun Ra Arkestra, the Woodshed Orchestra, the Rheostatics, Jean Derome, Gord Downie of the Tragically Hip, trumpeter Lina Allemano, Rich Underhill of the Shuffle Demons, Tannis Slimmon, the Shrine of Impossible Love, Joe Lapinski, Runcible Spoon, Madagascar Slim, Sook-Yin Lee, Jo Ann Hetu, Rock Plaza Central, Wayne Omaha, Trish O’Callaghan, Michael Johnston, the Williams, Mihirangi, Eliza Gilkyson, Carolyn Mark, GUH, Lewis Melville, Andrew Downing, Les Blancs Brilliants, dancers Andrea Nann, Rex Harrington, Yvonne Ng, Kate Alton, Shannon Cooney, and Susie Burpee, poets Paul Dutton of the CCMC and Jim Carroll author of the “Basketball Diaries”, created soundtrack work for Nick Deponcier, Audrey Huntley, co-created soundtrack music with the Rheostatics for Martin Scorsese “Naked in New York” and Richard J. Lewis “Whale Music”, worked with theatre artists Tina Rasmussen, Jane Wells, Suitcase in Point of St. Catherines Ontario, Theatre Junction of Calgary Alberta, One Yellow Rabbit Theatre Company of Calgary Alberta, Installation Artists Sherri Hay, Fastwurms, Walter Willems, Mike Murphy and many others. Dave has studied with master drum teacher Jim Blackley of Barrie, Canada, Bata music master Gilberto Morales Chiong of Matanzas Cuba, British guitarist and composer Fred Frith, and saxophonist David Mott of Toronto, Canada. Dave is the author of “A Month of Sundays” poetry collection and the music instructional text “How to Conduct…Yourself! Conducting Cues For Instant Musical Composition”. Dave has produced/ co-produced recordings by the the Williams, Joe Lapinski, Michael Johnston, the Inbreds, By Divine Right and the WoodChoppers Association. He has mastered audio works by the Rheostatics, Han Bennink, Sam Larkin, Dave Reed and Zunior.com amongst others. Mr. Clark teaches music at his studio in Toronto, Canada as well as leading his Improviser’s Woodshed music workshops at public, secondary and post-secondary schools, as well as at music festivals, in art galleries, for theatre companies and for various bands. Evan Cartwright and Brodie West have been playing regularly together over the past few years. Cartwright has appeared as a guest in West’s ensemble Eucalyptus on several occasions. This evening’s concert will mark their first public appearance as a duo. They will premier 3 new compositions which they developed in collaboration over they past two years. 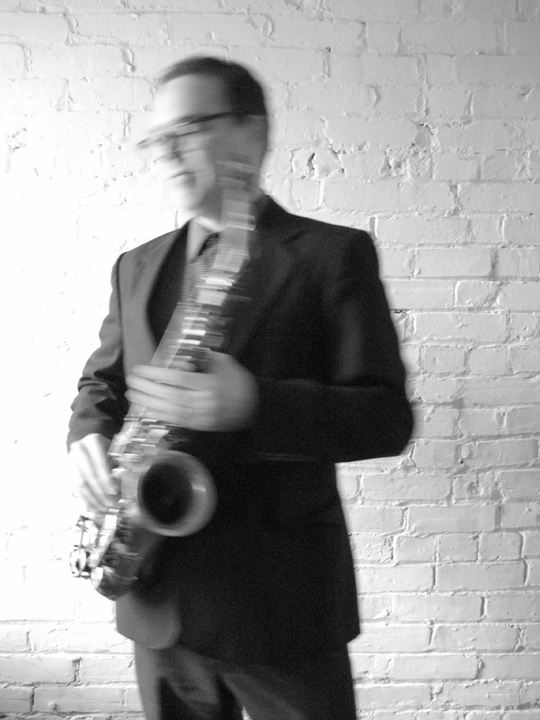 Brodie West is an alto saxophonist and composer currently living in Hamilton Ontario. West has been an active member on Toronto’s creative music scene for the past 20 years and has played with many of Toronto’s finest musicians. Notably he was a member of Drumheller, Deep Dark United, The Woodchoppers Collective and Zebradonk. He has toured and recorded with international musicians Getatchew Mekuria, Han Bennink, The Ex, Ken Vandermark and Mohammed Jimmy Mohammed. He plays with The Lina Allemano 4 and The Ryan Driver Sextet. West leads his own ensemble Eucalyptus (since 2009) and performs solo. He is currently working in collaboration with Andrew Zukerman in a duo setting and Evan Cartwright also as a duo. West has toured extensively throughout the USA, Europe and Canada. He has also made several trips to Ethiopia. He has appeared at several international music festivals and has made guest appearances on many recordings including Jennifer Castle Pink City, Nifty Pity Slash Love, Tenderness The Axe is Ready, The Ryan Driver Quintet Plays the Music of Steven Parkinson and Broken Social Scene You Forgot it in People. 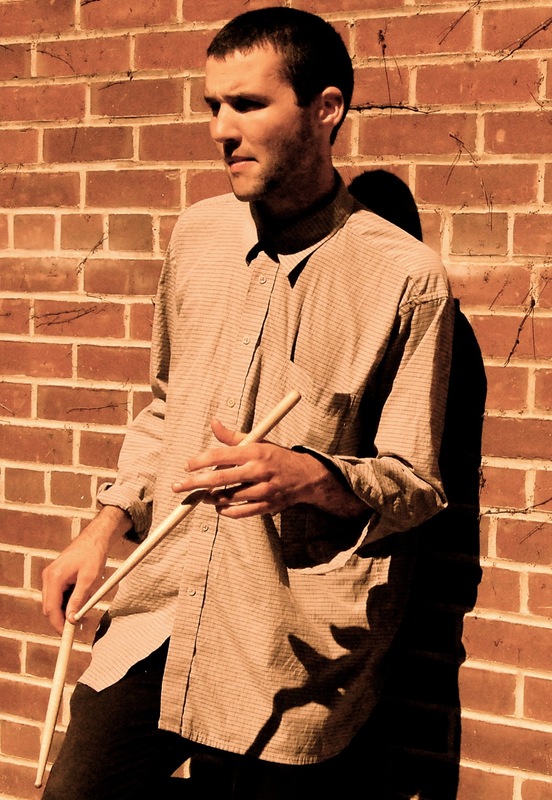 Drummer Evan Cartwright is a fixture of the Toronto music scene. He is a frequent collaborator with such local acts as Snowblink (Arts and Crafts), Alex Lukashevsky (idee fixe), Eucalyptus (Healing Power), and Luka. Internationally, Evan has performed his original songs on stages ranging from the Bataclan in Paris to the Commodore Ballroom in Vancouver, and has toured extensively with Tasseomancy and Omhouse. A graduate of the University of Toronto’s Jazz program, Evan is a technically accomplished drummer with an innate ability to express ideas through music. As an educator Evan has worked closely with renowned music instructor Doug Friesen exploring alternative teaching methods to bring a greater sense of equality and respect into the classroom. As a composer, Cartwright’s accomplishments include writing music for the Ingrid Veninger film I Am a Good Person/I Am a Bad Person (2011) and creating accompaniments for works by Toronto based contemporary dancer Ana Groppler.